A Collection You Can Ride In! 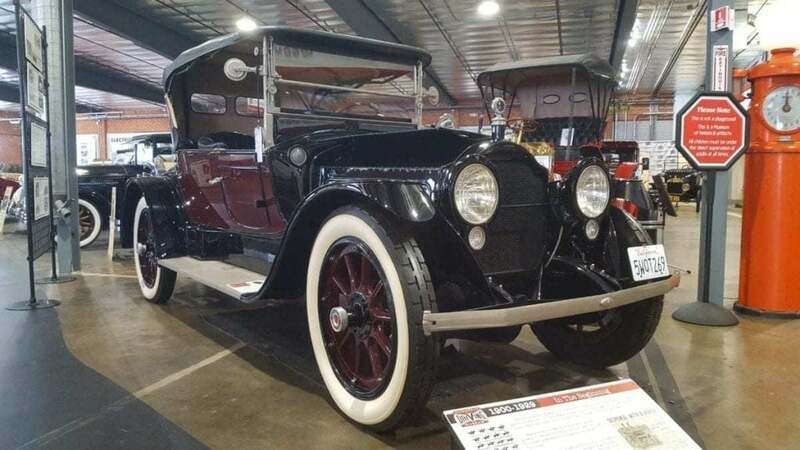 Whether you’re a young kid or a kid-at-heart The Automobile Driving Museum is a guaranteed treat for every automotive enthusiast. It’s one of the coolest museums in Southern California. It offers antique Model T’s all the way up to a ’95 Viper and 2000 Saleen. And not only is it okay to touch and sit in the cars but you can swing by on Sundays and go for a free ride! 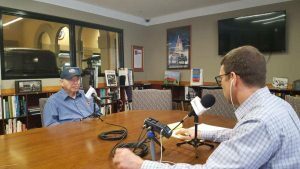 Hear the details from co-founder Stanley Zimmerman himself in this episode of the iDriveSoCal Podcast. Stanley Zimmerman: We would go to car shows, generally, everybody else had a sign up saying, “Look but don’t touch” their precious jewel. And we thought differently. We thought that we should invite the public, particularly, young children to sit in our cars. And go for a ride in them. They’re not immobile. They are moving art and so to enjoy them, you have to use them. We bring out three or four cars from our collection, and people line up and get a ride. It’s no charge; it’s all free. Tom Smith: Welcome to iDriveSoCal, the podcast all about mobility from the automotive capital of the United States, Southern California. 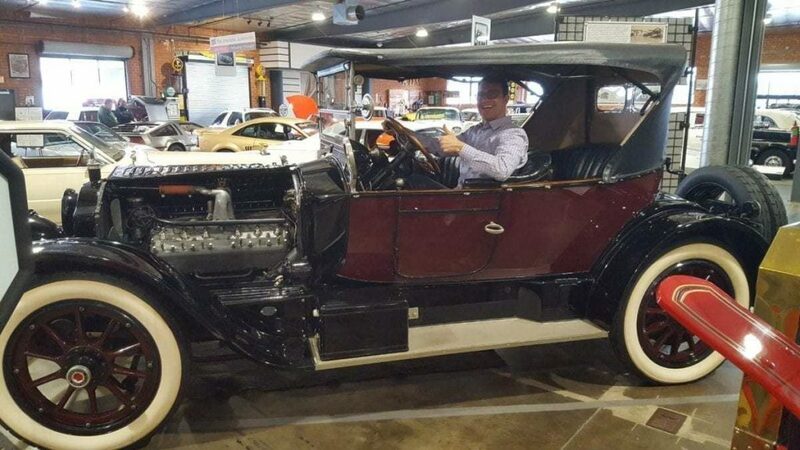 Today is a pretty fun day for me, actually, already has been because I’ve been getting a tour through The Automobile Driving Museum here in El Segundo, California. Those of you from Southern California know that El Segundo is adjacent to LAX, Los Angeles International Airport. And sitting with me right now is the founder of the Automobile Driving Museum, Mr. Stanley Zimmerman, Stanley, thank you so much for joining us. Stanley Zimmerman: My pleasure to be here and talk with you. Tom Smith: So the Automobile Driving Museum, you’re the founder. It was your vision long ago. Can you kind of start off with a high-level explanation, summary? Stanley Zimmerman: Correctly, I am a co-founder of it along with a man called Earl Rubenstein who’s no longer active in the museum. He’s busy with his profession as an architect. And we’re both car collectors, primarily, and we would go to car shows and to car exhibits, concourses, and we would be there with our cars and, generally, everybody else had a sign up saying, “Look but don’t touch” their precious jewel. And we thought differently. We thought that we should invite the public, particularly, young children to sit in our cars. And so between us we had discussions and said someday, we’d like to have a museum for our cars where the public could come and sit in them, bring their children, and let their children sit in them and go for a ride in them. They’re not immobile. They are moving art and so to enjoy them, you have to use them. Tom Smith: And how long ago did you actually execute on that dream that became a vision that became a reality? Stanley Zimmerman: In the beginning, it was just car clubs coming and maybe bringing their families for meetings; it wasn’t the general public. But in 2002, I was able to get the use of a large underground or semi-underground garage under a preschool, which they weren’t using. And so we put our cars there and started with leaving a few cars out on the street with a sign on them, “There is a museum around the corner.” In West Los Angeles it was. And so we’d get a few people coming in and then I decided that it would be worthwhile making it a public museum so that there are some tax benefits, but it also meant that the collection could go on. It wouldn’t be limited by our lifetimes. And then we did that for, oh, three or four years before we had the opportunity to acquire this building in El Segundo, and we chose El Segundo because it was near LAX and because it was in the South Bay where there were no car museums and a lot of people that like cars. Tom Smith: It’s so much fun. And what…because you have cars out here from literally the early 1900s all the way up through… There’s definitely some 80s probably 90s and beyond. I’ve only been in one of your main rooms here. I haven’t gotten the full tour yet. But what vehicles are people getting rides in? It’s different every weekend almost, I mean? Stanley Zimmerman: Pretty much every weekend. There are some cars that if we were to drive them… We have an 1886 Benz. It was a built by Mercedes in 1986. They made 11 of them duplicate to the first one they actually gave to dealers, and Beverly Hills Mercedes gave us this. And we did have it once run; it does run. But like cars of that vintage, when you run them, you can pretty much rebuild them for the next ride, so that’s our oldest car. And our newest car is a 2000 Saleen Mustang, and we have pretty much everything in between. Generally, the cars that go out are the cars that are on display, whatever happens, to be on display, or ready for the display. We have 130 cars and about half of them are on display at any time. The others are either in the repair shop or in our garage storage facility. Tom Smith: And now Alec, your, I guess, his title is curator? Tom Smith: Okay. So Alec was showing me around, and he clarified that all of the cars in the museum run but not necessarily all of them are driven because some are actually quite valuable and rare. What’s the Most Valuable Car? Stanley Zimmerman: That is correct, but most of the ones that are very valuable, we have a duplicate that’s not so valuable. Stanley Zimmerman: So yes, you may not get a ride in a million dollar car. You get to look at it. You get to sit in it under supervision. But we might have a car that’s not worth a million dollars that you can get a ride in. Tom Smith: And that brings me to the question that’s, I think, on everybody’s mind as soon as you walk into a museum and there’s beautiful vehicles, what is the most high-value vehicle that you have? 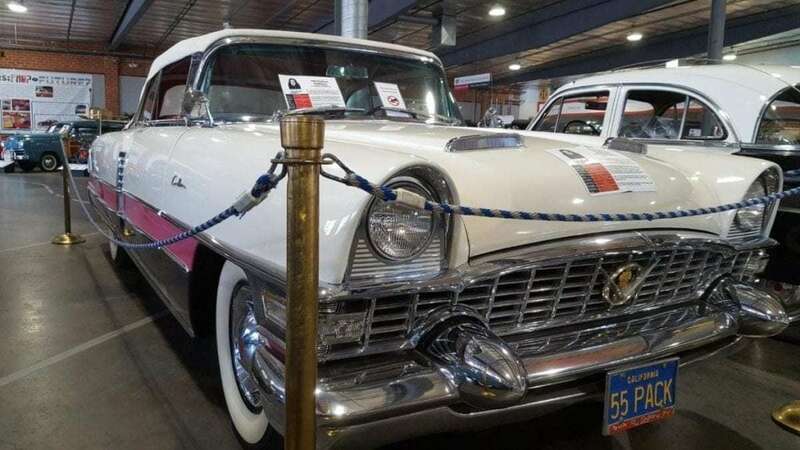 Stanley Zimmerman: It probably is the 1955 Packard Caribbean convertible that was number seven. Was the first one sold to the public and was sold to Howard Hughes. Howard Hughes gave it to his then wife, an actress, Jean Peters, who if you like movies of the 50s, you’ll see her in a lot of them. 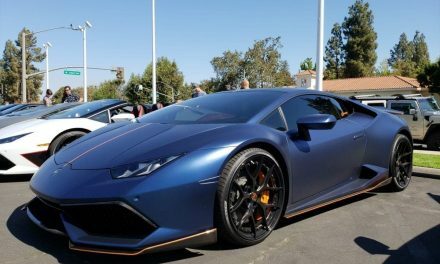 They took it for her–it was her birthday present–and they drove it to Malibu, and drove it home, and parked it in a garage in Beverly Hills, and went off to Las Vegas. And the car sat there until her divorce. I bought it from Jean Peters and donated it to the museum. It’s probably the most original one. It only has 1700 miles on it now. We only drive it about a mile each year. And because of its history and because it’s being so rare, it probably is our most valuable car. But, it isn’t much more than the next one which is a 1930 Stutz Weymann Monte Carlo. Weymann bodies are made like old airplanes, like World War I airplanes. They’re not metal; they’re not wood. They are a hardwood frame on which cloth is stretched so it’s a cloth body. Stanley Zimmerman: Cloth body, yes. It’s more like a vinyl, but they didn’t have vinyl those days. And so there’s in the whole world of Stutzes, there are 23 Weymann body Stutzes left because you can tell if it’s fabric body car, you leave it up in the snow, things are going to happen. And only four 1930 Monte Carlos, so it’s a very rare car. 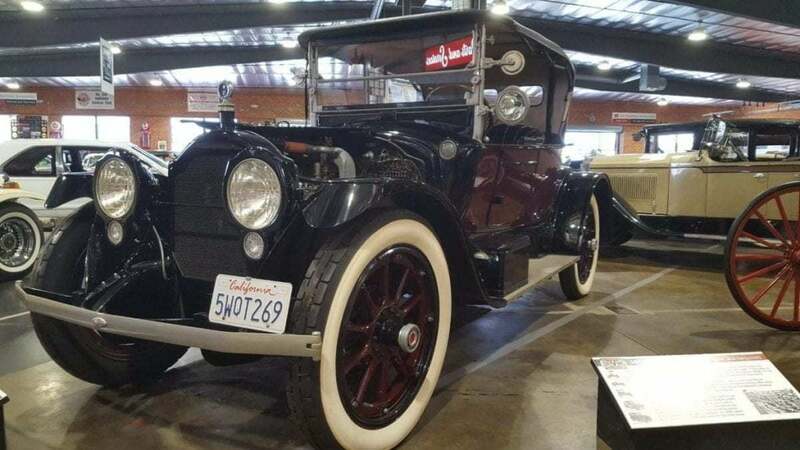 Tom Smith: The Stutz is valued at how much again? Stanley Zimmerman: Something over half a million dollars. 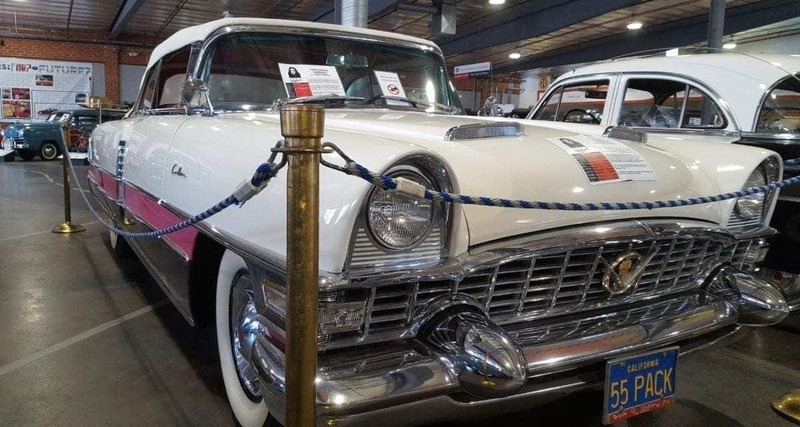 Tom Smith: Now the…Howard Hughes’ wife vehicle, Jean Peters? Tom Smith: What is the value of that vehicle? Stanley Zimmerman: It’s really…and you really can’t tell. I’ve been told that at some of the auction companies that would like us to sell it, which we won’t, that in an auction, it would probably bring more than a million dollars. Tom Smith: So you had a vision for this museum a long time ago. Has it come to fruition? Has it changed a little bit? Stanley Zimmerman: Oh, it’s always changing. Things aren’t static. They’re not static. If they’re static, you’re a dinosaur. We have dinosaurs flying around as birds. They evolved. The museum has to evolve. We do a lot of things for young people, youth. We have events nine times a year if it doesn’t rain, for kids that are in the average to maybe five, six years of age. They get a chance to learn a little bit about cars, answer a few questions, and win a prize. The prize is Hot Wheels, which graciously, Mattel provides for us. And by the way, they get to see, at that same time, Mattel’s full-size cars that they have full-size cars. The cars are here forever. We’re just temporary custodians of them. So we have to think about who’s the next custodian. And maybe they’ll want to have, for their memory, a Toyota that has a computer in it and not a car that you had to crank to start, didn’t have any electricity in it. So yeah, the museum will evolve that way. There’s a need for having a facility where people can learn how to take care of these cars, we’ll grow to that. I mean we have some youth here that come in that help us, but it will get more formalized. And if you ask me what else is going to happen, I don’t know. But whatever is going to be for the time as we change, we will change. Tom Smith: It sounds like whatever is going to happen, your intention is for it to stay and to continue growing. Stanley Zimmerman: That’s our plan. The museum has funding for the next 40 years. And if they are careful with what their funding is, it will go longer. But of course, we need to have sponsors, contributors, docents that help us out. We’re working hard now on bringing females into the car hobbies and teaching them. There are classes here for women to learn how to maintain cars. We’re starting a project where the women will do a restoration of a GMC truck. They’re going to do…we’ll guide them, but they’re going to do all the work on it. Tom Smith: And the driving portion of your museum, it happens every Sunday. Are there any Sundays that you guys take off? Holidays, whatnot? Stanley Zimmerman: Yes, the obvious Sundays, although, some of the Sundays, yes, they’re driving because the public gets off, and they want to be here. A rainy day is not a day for taking these cars out for a drive. Tom Smith: Luckily, in Southern California, there’s not a whole heck of a lot. Tom Smith: Mr. Stanley Zimmerman, this has been a pleasure. Thank you for having me. As we start to wrap it up here, the way that anybody can get involved, I believe your website is TheADM.org, right? Stanley Zimmerman: TheADM.org or if you go Automobile Driving Museum, you’ll get us too. You can apply on the website and definitely, you can become one of our members or sponsors. Tom Smith: It’s a fun place to come, and thank you for executing on your vision to make it a reality. 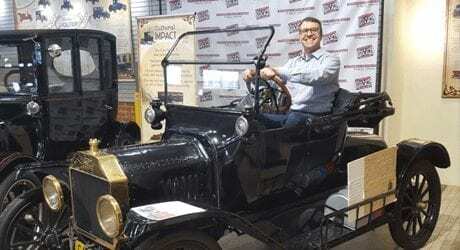 Stanley Zimmerman: Thank you for the opportunity to talk about the Automobile Driving Museum. Stanley Zimmerman: 10:00 to 4:00 but I would get here earlier and get in line. Tom Smith: There you go, El Segundo, California. For iDriveSoCal, I’m Tom Smith. As always, thanks for listening.